This is mostly to the admin, but I have noticed that now harvesting seems to be x2 as in official servers, as getting stones from the floor gives 2 of them. Not long ago it was at x4, getting 4 stones every time. We never had 4X harvest it has always been 2X. 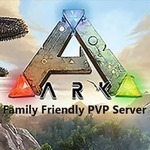 The Ark Devs decided to do a hard 1.5x Harvest, Tame and XP boost for their Evolution Event that carried over to unofficial servers for a long time and didnt bother telling anyone that it would affect unofficials, when we should have never had it at all. Be happy you got the 4x for as long as you did because our server was never supposed to have had it and there is no way of doing a roll back in any fair way, so if you took advantage then I guess you lucked out. just rely on Dinos. Therizinosaurus pretty much gets you all resources except for what comes from stone. Stone resources you just need a doedicurus and ankylosaurus. Also brign a pack rat with you (Trike or something that carries a lot of wait) with Theri as its weight blows. Fiber and Wood is so easy with Therizino.